Familieopstilling er en metode til at bearbejde forhold og mønstre i familien og andre systemer eller organisationer, som hæmmer vækst og trivsel for den enkelte. I mange tilfælde gentager problematikkerne sig i den samme familie fra generation til generation, når ikke de bliver set og løst. Vor tids vigtigste opgave er ifølge min indsigt at rense og hele vores familiefelter og skabe et solidt fundament til vores efterkommere. Der er brug for mennesker med ryggrad og god jordforbindelse. Mennesker som kan kigge fremad og mærke indad. Som kan finde nye veje med indre ro og tillid. Opstillingerne kan bruges til alle former for ubalancer, som kan opstå i familien og hos den enkelte. For eksempel ved dødsfald, adoption, sygdom, depression, angst og stress. De kan være til stor støtte i kriser omkring parforholdet. Ikke mindst er det den effektiv til familier med børn der har vanskeligheder. Metoden giver redskaber og løsninger til den enkelte, til familier, virksomheder og andre organisationer i krise. Opstillingerne foregår enten i en gruppe med stedfortrædere eller i enkelsessionerne ved hjælp af figurer eller andet materiale. Det er ikke nødvendigt at den reelle familie deltager i opstillingerne for at kunne løse de forviklinger der viser sig i feltet. Metoden er udviklet af Bert Hellinger og er en omfattende videnskab om menneskelige forhold. 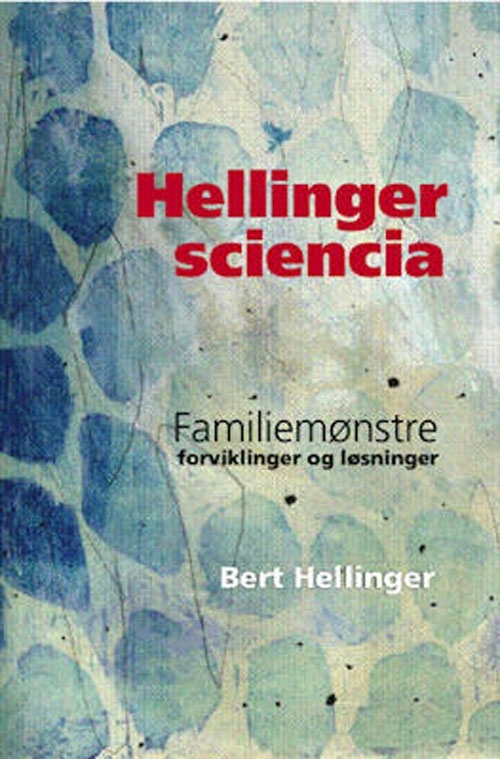 I begge bøger ”Hellinger Sciencia” og Forviklinger” kan du læse mere om metoden. Thomas Miller from Findhorn Foundation in Skotland describes the work through an experience. For me this belief was sticky, resistant, relentless, hard to find the cure for. My brother had killed himself and I didn’t fit into life any more. I couldn’t seem to find a reason for going forward that would stick with me. After a few days a sense of emptiness always returned. Months of this passed and my confusion hardened into despair. I was drifting like a ship with a hole in the side, but every time I tried to figure out how to find a sense of direction I would start feeling physically uncomfortable, then get sleepy or anxious. Also, thoughts started swirling in response to the emotional triggers, confirming the sense of helplessness. At some point, I would give up and find some distraction to avoid the sense of overwhelm. But after years of trying to find a way to change, I experienced a systemic constellations session that shifted things for me fundamentally in about two hours. I have found value in various kinds of therapies as I tried to loosen the knots in me left over from my brother’s suicide. Each brought some kind of help, which I really appreciate. Also, I think each person needs to find a way that works for them personally. The reason I want to share this, though, is that systemic constellations brought me both understanding and healing in an incomparably clear, direct and efficient way. No amount of talking, thinking or feeling about the situation brought me the resolution that constellation work did. I remember waking up a few days after a systemic constellations session and realising I was different. Then I realised that after about 15 years of dragging around a sense of lostness and anguish about my brother’s suicide, I was now feeling a tender stillness in which I was simply holding my love for him. I remember making coffee and going to work, waiting for the familiar background noise of despair to return. It did not. As I write now I can literally feel within my body a difference. It’s a sense of relaxed lightness now where before I had a sensation like a tight, heavy knot in my abdomen. Systemic constellations are not incredibly easy to explain if you have not experienced one. You can bring a question or problem to be constellated. It could be a personal issue, like a difficult family relationship. It can also scale up to the world level and you could look at global warming, for example. Then the less-explicable things happen. People in the group take on the role of representatives of the different actors in the issue. This could be the role of the questioner’s father, a hereditary disease or the Amazon River. Simply by holding a focus on the question that the group is constellating, representatives will feel in their physical bodies an appropriate movement to make. They sense emotions or images or gestures that will reveal something about the part of the situation they are representing. In some way they are touching into life’s interconnectedness. Life Lesson: Death is Fun! I was curious: why was I feeling so light, pleasantly detached and benign about everything going on in the situation? The answer surprised me a bit: I was dead. Since then I have also experienced constellations on an organisational level. Participating in a massive constellation for the Findhorn Foundation, I experienced the various forces at play in the organisation. Waves of emotion, sensation and mental images came up in me and the other members of the group. As it was going on, I had a felt sense of my place in the bigger whole. I also saw how each individual within that bigger group experienced the changes we were going through very differently. Some felt enthusiasm and eagerness, others felt resistance and sadness. Being present with the collective personality of the community made sense to me of a change process that at other times had felt incoherent and confusing. Moreover, physically feeling and sensing what was going on in the group brought insight home to me on a level that went far beyond just conceptually knowing something. I could have sat through the world’s most dynamic powerpoint presentation illustrating how group dynamics work and I wouldn’t have retained a fraction of what that experience gave me. Systemic constellations give you space and freedom to make decisions that change the situation. Is there anything that is not easy about being the gender you are? My guess is that about 100% of people probably said yes to that. Doris has recently worked with the changing ideas about and ways of dealing with gender. She notes that constellations can give “a new understanding of the disorders and stories that lie in the masculine and feminine fields of our time.” This is just one example of how constellations give a sense of choice in an area where it often feels like there is none. Systemic constellations affect all levels of our being. Physically embodying something changes things on more than one level. Talking about issues we have in our lives might help something, thinking about them might also help, feeling strongly about them: ditto. But holistic change only comes when we act. In a mysterious way constellations allow us to embody the most relevant elements within the situation. (I could refer here to quantum physics or various spiritual traditions, but that would digress too far for this post.) This means that they directly affect us on the level we need change on. It also explains why they easily handled a problem that seemed intractable to me. I had been trying to think my way through something that needed to be felt and engaged with spiritually. As soon as I partnered with the larger energetic system I am a part of, it helped me with the needed answers. Dette er siden, hvor du kan læse nyheder fra Familieopstiller. Der kan være løst og fast og nye ideer og tanker. Alt er tilladt.